Benefit from independent, in-person advice in one of our branches or conveniently from home via online video advice. We each cherish the dream of home ownership in our own way: one person may wish to build a house in the country, another may seek a flat with a balcony to enjoy the morning sun, and yet another may yearn to renovate an old farmhouse in an idyllic valley far away from the crowded city. And just as these construction or conversion projects have their own individual features, each will likewise demand a specific financial package to fund the purchase or restoration costs. In more general terms, present prospects are good for those looking to finance home ownership, with mortgage interest rates remaining favourable. 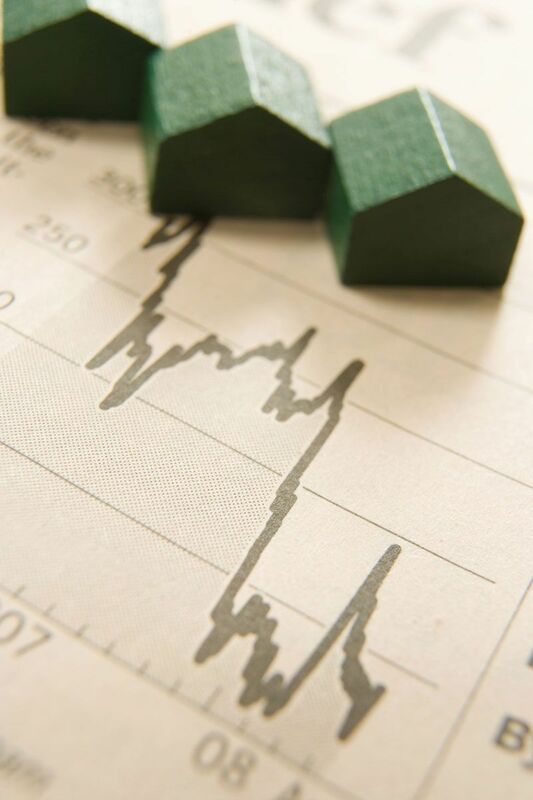 You will find detailed information about mortgage rate comparisons on our website. MoneyPark offers independent advice and secures individual terms for each customer. Our aim is to find you the best mortgage in Switzerland. Switzerland still offers attractive prospects for house builders and property buyers. The trend has been very customer-friendly with mortgage interest rates falling constantly from one low down to the next. Although the floating of the Swiss franc caused a slight rise in overall interest rates, financial experts expect Swiss mortgage rates to continue at their current favourable levels and to remain stable over the longer term. A mortgage lender’s calculation of the mortgage interest rates will consider several factors: apart from the property value and the required own funds, your monthly budget will also be taken into account. This information will determine the loan-to-value ratio and affordability of the loan – important indicators of whether the mortgage repayments can be met throughout the mortgage term. The calculation of the mortgage interest rate itself is different for each of the following 3 financing models. Fixed-rate mortgage: A primary feature of this method is that the mortgage rate stays the same throughout the mortgage term. The mortgage duration can be anything from 1 to 20 years, with time-frames of between 3 and 10 years being the most common. Even if mortgage rates rise during the term of the mortgage, repayments will not increase, which is a major advantage of this method. However, neither will the mortgage holder benefit from falling interest rates. A fixed-rate mortgage is particularly suitable for those seeking long-term security. Since mortgage repayments are fixed from the outset, your monthly mortgage costs will remain the same until the end of the agreed term. Variable-rate mortgage: This method is suitable for property owners wishing to take advantage of a low mortgage rate in the short term and benefit from further interest-rate falls, and also for those who do not require long-term finance, perhaps because the property is to be sold. Since a variable mortgage is subject to mortgage-rate fluctuations, the mortgage borrower must be able to afford any additional mortgage costs which could arise. Nevertheless, they will gain financially if interest rates fall. However, it is not always possible to anticipate future reductions in the mortgage-rate. LIBOR mortgage: A LIBOR mortgage is also a mortgage with a variable interest rate, and LIBOR (London InterBank Offered Rate) refers to the interest rate at which the major international banks borrow money from each other. This is agreed daily in London, and LIBOR mortgage interest rates consist of the LIBOR rate plus a margin for the mortgage lender. With this method, an adjustment to reflect the current interest rate development usually occurs every 3 to 6 months. The options to switch to a fixed-rate mortgage or to use a rate cap offer protection against rising interest rates. Other than the property purchase itself, mortgage interest payments represent the largest cost factor for most property owners in Switzerland. And even though mortgage rates may have developed well for customers in the past, one particular problem still remains: many mortgage offers are based on lender-specific criteria which makes them difficult to compare. The independent mortgage advice from MoneyPark allows you to make such comparisons. We will accompany you throughout the entire financing process and work with you to determine your best mortgage strategy and the most suitable financing method. The displayed interest rates are the best rates currently available. Your personal interest rates may vary depending on LTV, affordability, mortgage amount and the location of the property.